Service provider selection just as important as getting the right phone system. Phone service is important to any business and imagine what would happen if it stopped working? Choosing a reliable VoIP service provider is obviously a very important decision for you and your IT department. Do your homework. Avoid risky providers. If you ask the right questions up front, you can avoid signing with a risky provider — or one that doesn’t offer what you need. 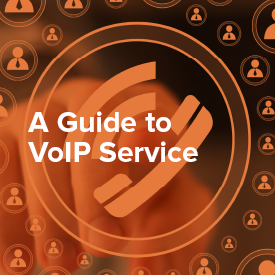 Most VoIP service providers offer basic capabilities such as voicemail or call hold but may not give you the advanced features, service options or scalability that your organization needs. What is VoIP Service and what are my options?